The owners of this garden wanted a multi-functional outdoor space, where every corner would be put to use. An area for outside dining. An area for entertaining, making the most of the hot tub. Areas for growing fruit and vegetables. Plenty of space for children to play. To accommodate this I proposed creating a wrap around garden, linking the already enclosed part of the garden with an open lawn area on the other side of the house. This provided more space for a play lawn and climbing frame. 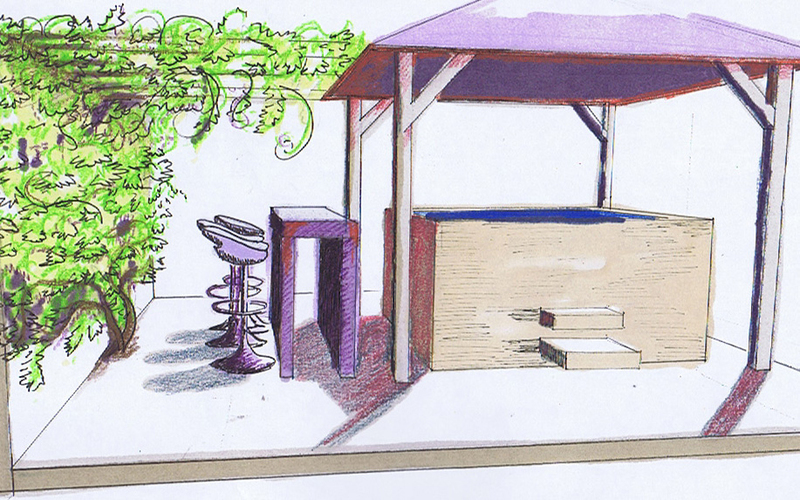 The hot tub area would be transformed by removing an 8′ conifer hedge, and replacing it with mediterranean planting, atmospheric lighting and a bar area. 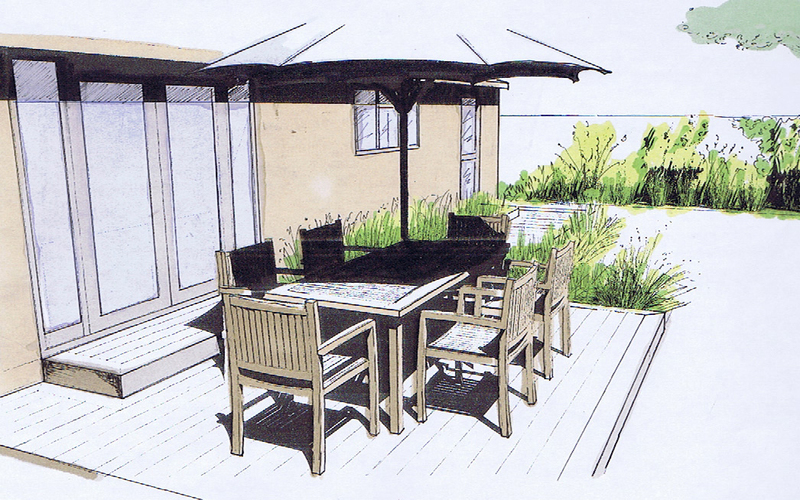 A large deck area will be an outdoor dining room for the clients, who enjoy getting friends round and making the most of their BBQ. 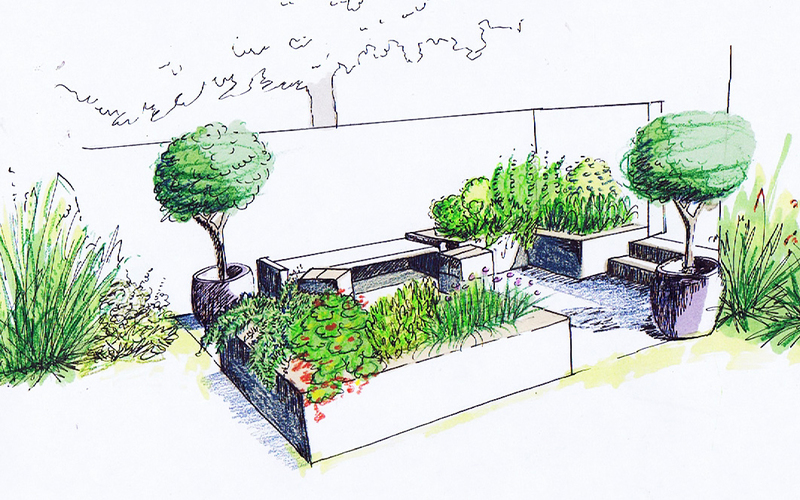 The warmest and most sheltered part of the garden has been dedicated to raised beds for the vegetables, but, by including some seating within this corner, the client will be able to enjoy a cup of coffee here amongst the herbs, fruit and veg.